Dumbledore's Army. What started as a underground rebellious club for kids turned into an unstoppable force that returned balance to the battle between good and evil. Be a part of that force. 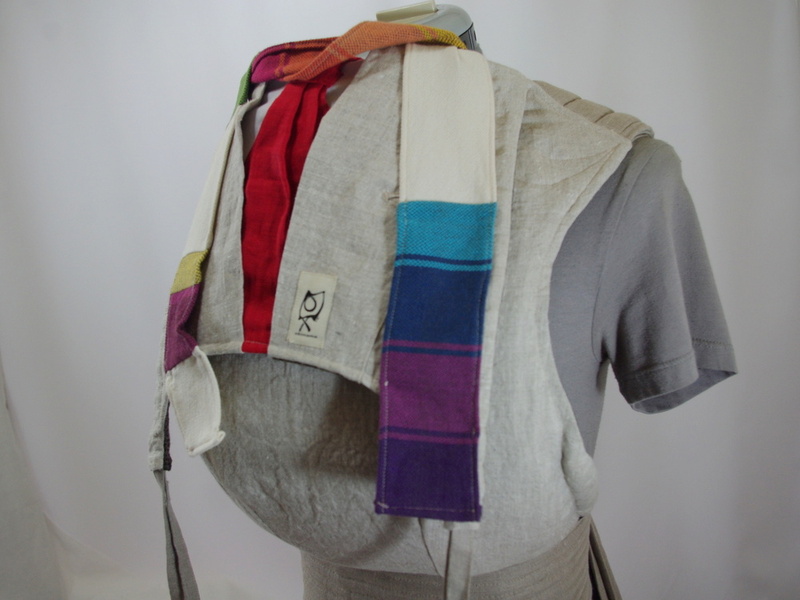 Every handmade mei tai baby carrier shown here is one of a kind and will be for sale in our online store on at random times Friday, February 20, 2015. 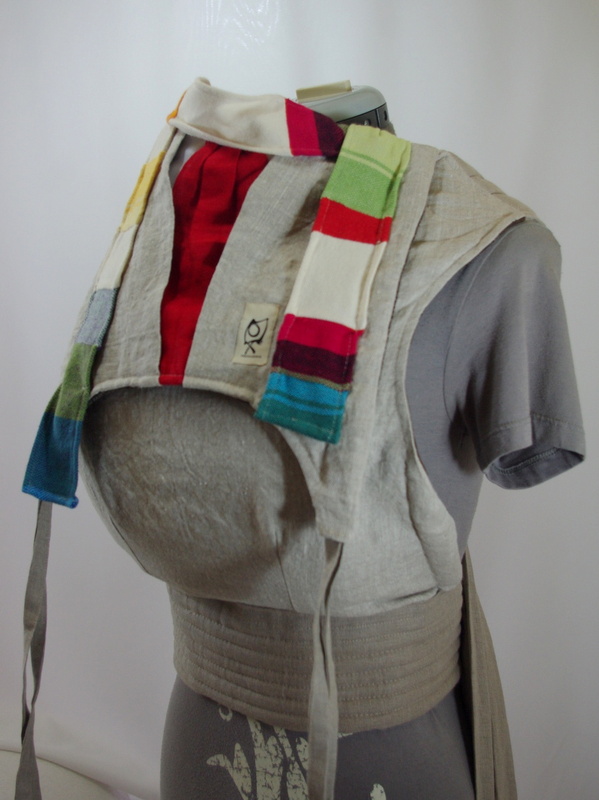 Each mei tai has super-wide linen wrapping straps with kombi-folded shoulder padding, a padded and quilted waistband, knee pads, and an adjustable sleep hood. The body is made entirely from Irish linen. 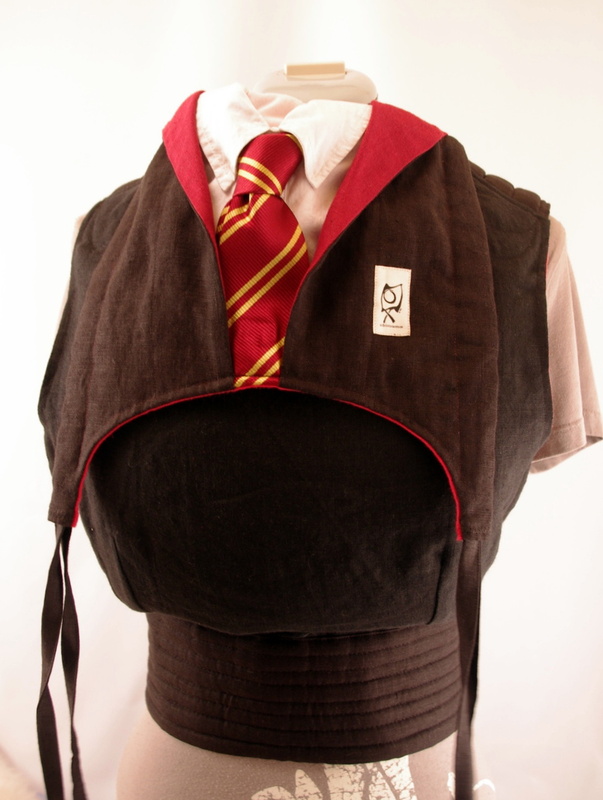 The sleep hoods are tailored to resemble official Hogwarts school uniforms with duo-toned robe lapels, white collared shirt with felt buttons, and striped 100% silk house neck tie. The boy who lived. A short stage 2 is a versatile toddler-sized body. 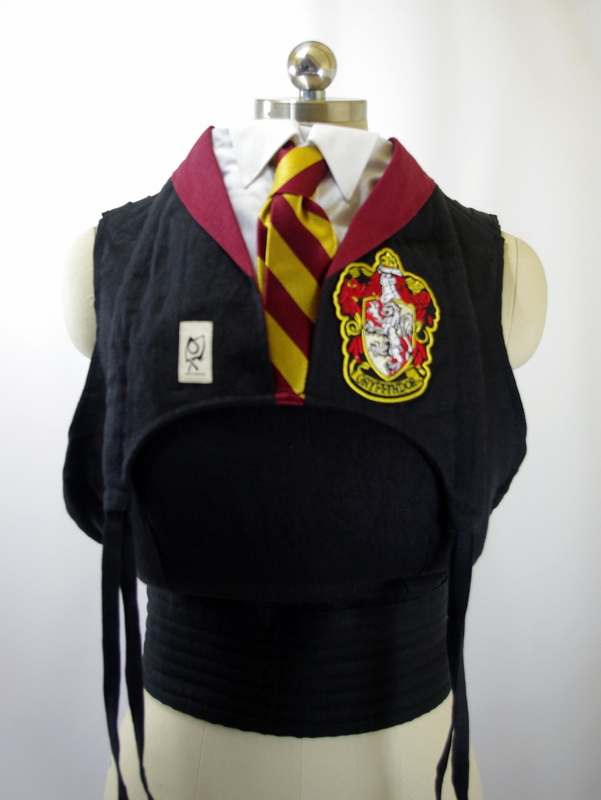 Comes complete with school crest on the lapel. 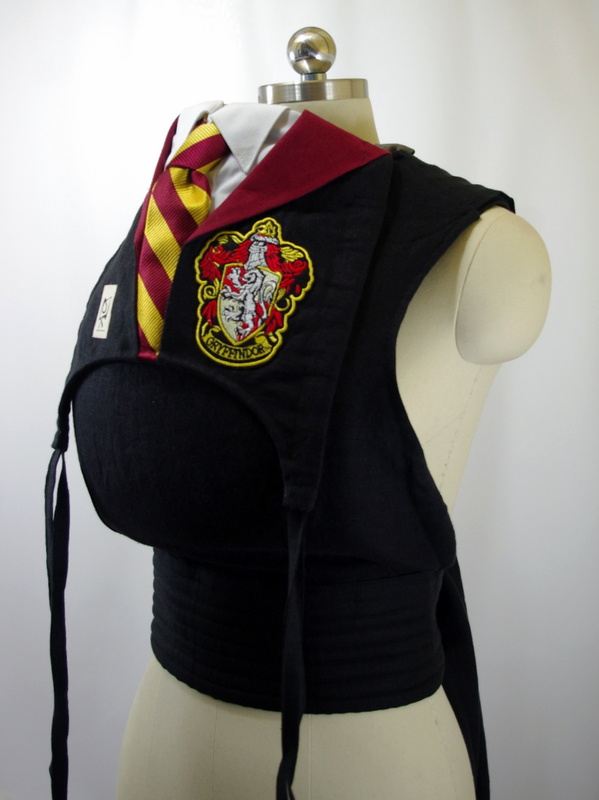 Not only was Hermione pretty much the best character in the entire series, she also had style! A short stage 2 is a versatile toddler-sized body. 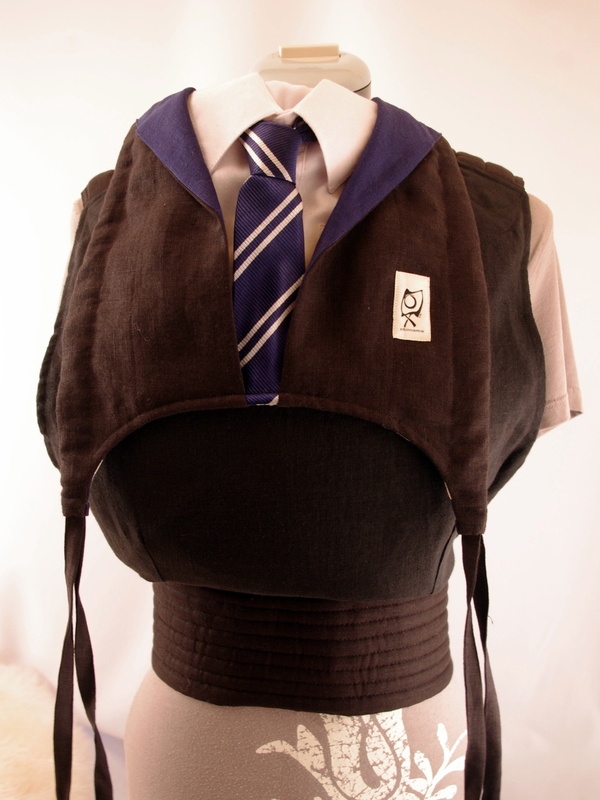 Comes complete with school crest on the lapel and a frog-closure button. That Ron, he's a keeper. A short stage 1 is perfect for babies 3-month-old and up. 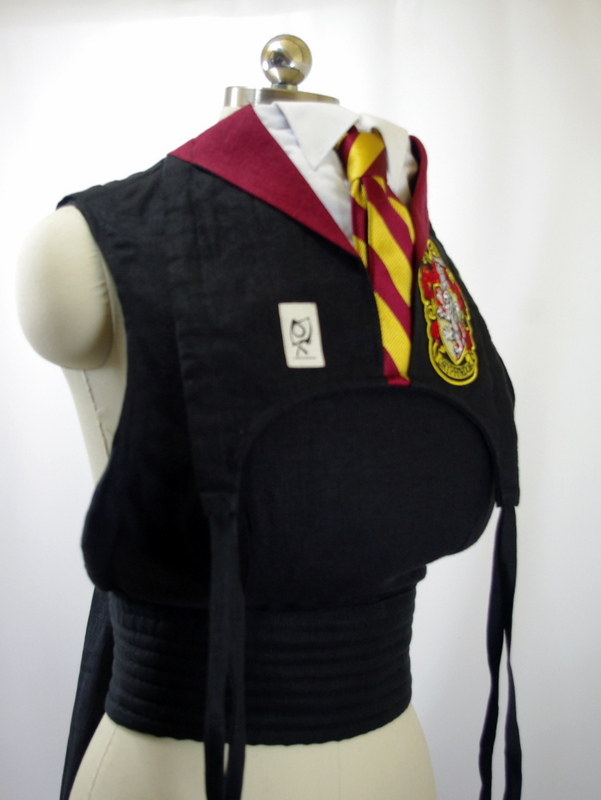 Comes complete with school crest on the lapel, and plenty of gingery comic relief. She was distinctly dotty, but also smart, loyal, essential, and surprising! A short stage 2 is a long-lasting and versatile body size. No mythical creatures here, this is the real deal. There was more to Neville than we suspected at first, and in the end we wouldn't have gotten far without him. A short stage 2 is versatile, durable, and always grows into something quite handsome. If you don't teach them, then where are they going to learn it? Raise your children the right way: by giving them attachment parenting toys with over-the-top handmade geekery motifs. Yes, that is a real silk house tie. No, I will not get out. The Doctor. Who? THE Doctor. If you are a fan, a real fan, a true fan, then these carriers need no introduction. For all the rest of you humans, just enjoy the eye candy. Everything you see here will be fore sale in our store on Friday, 2/6/2015. If you are able to use the TARDIS at any point, don't worry about stalking the stocking. Normal people will need to be a bit more on point. 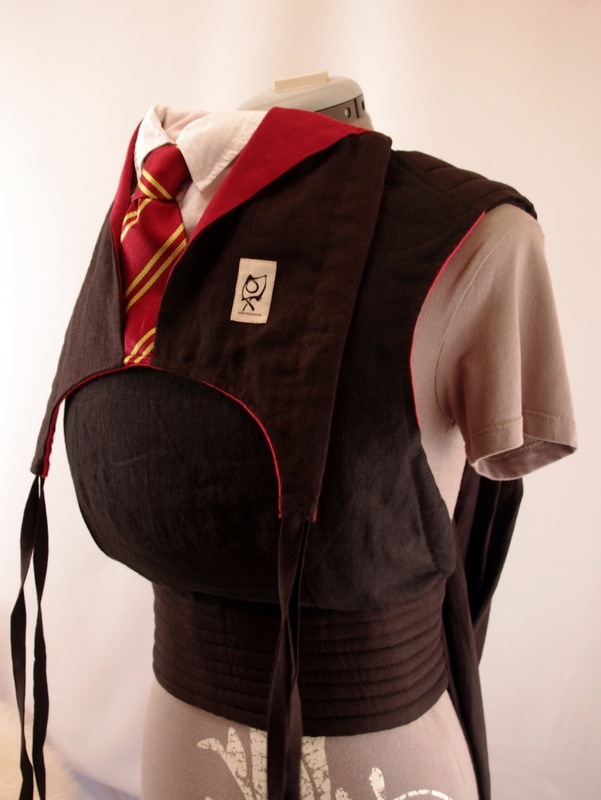 Number Four, arguably the best Doctor ever (and please, let's do have this argument), memorialized in baby carrier form. Because Dr. Who. 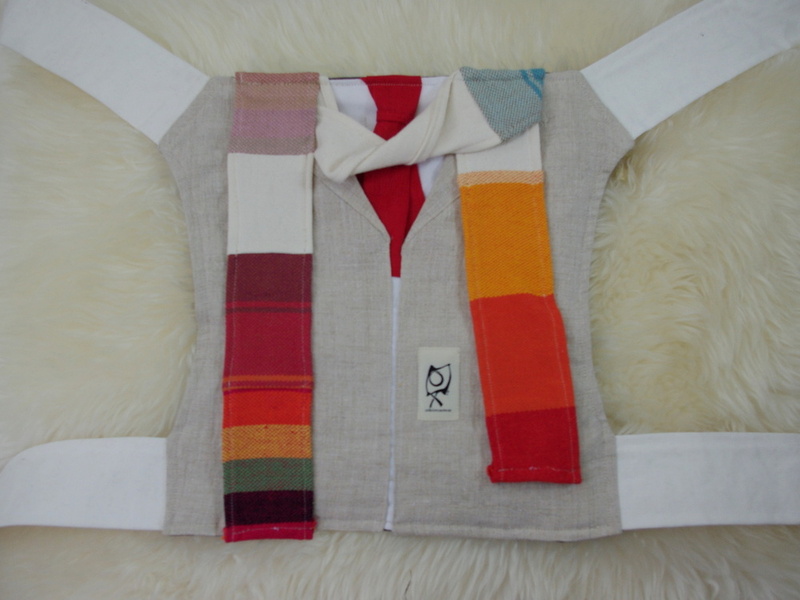 His signature scarf (the best souvenir ever, created here entirely in wrap scraps), CHECK. Jaunty cravat? CHECK. The rest is all done in natural, un-dyed linen. On the reverse: Number Eleven. Notice the details, please. 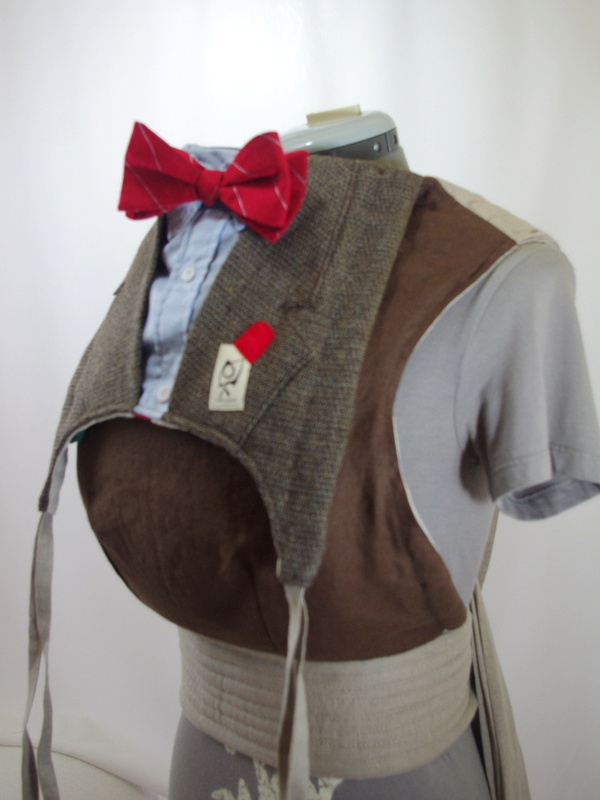 Real woolen bow tie. Real woolen tweeds. Braces. For heaven's sake, this baby carrier has braces (that's suspenders for you Yanks--believe me, I've made that mistake!). 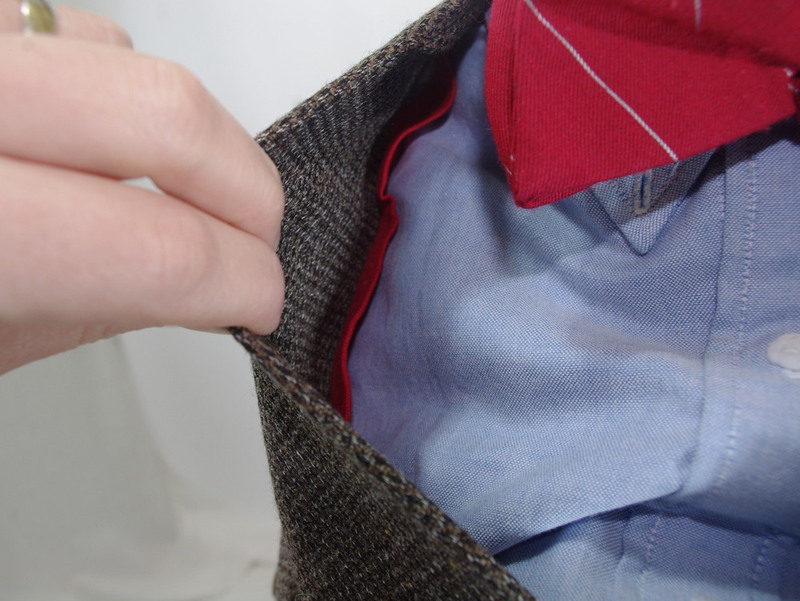 Oxford cloth shirting, with buttons done in soft felt. short stage 2, the toddler size. 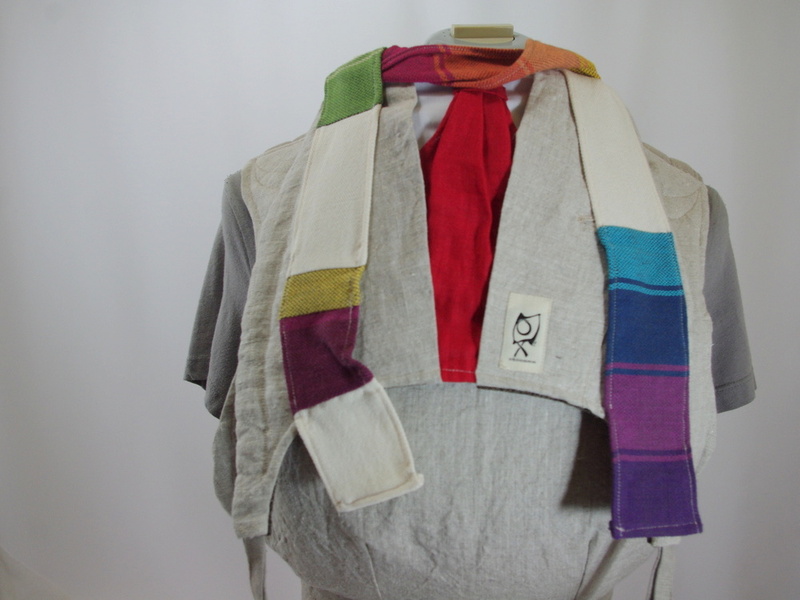 Medium linen wrapping straps with padded shoulders. 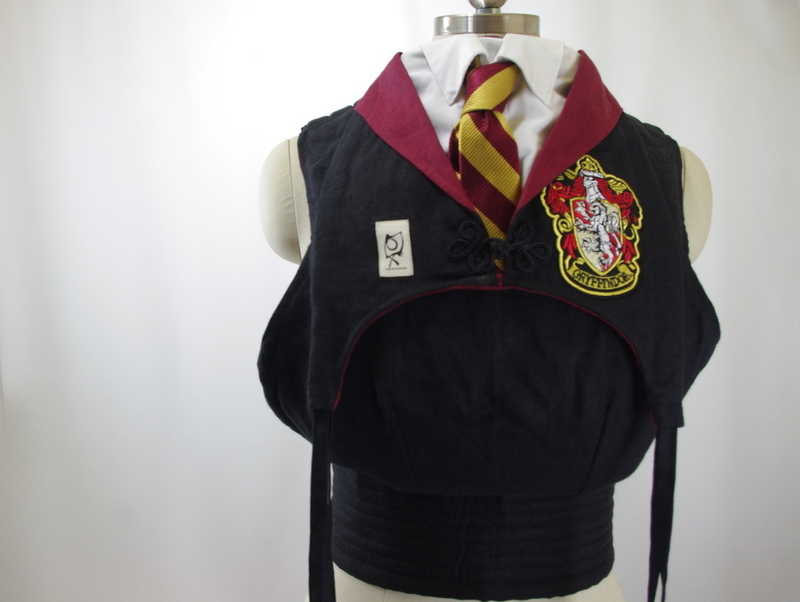 Medium tie waist. Reversible Irish linen body. Knee pads. Adjustable hood with double character treatment. Hand wash only. short stage 1, the baby size. 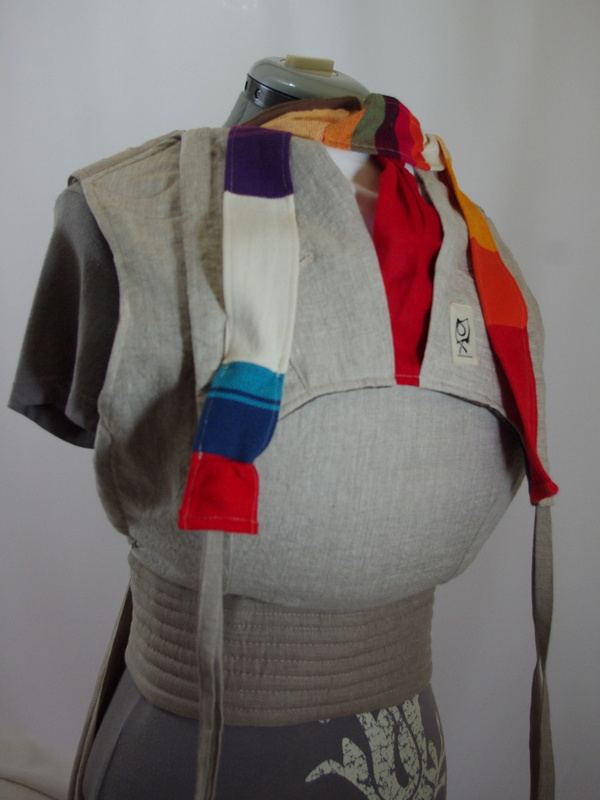 Medium linen wrapping straps with padded shoulders. 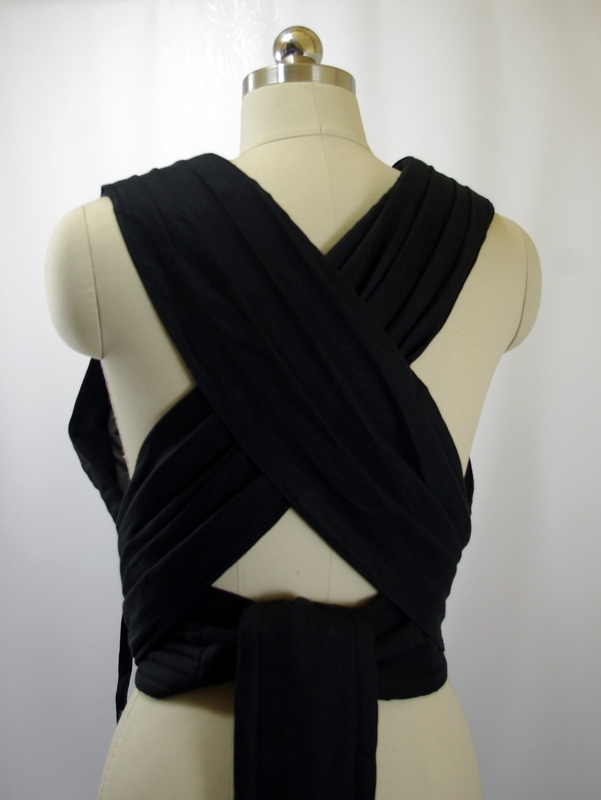 Medium tie waist. 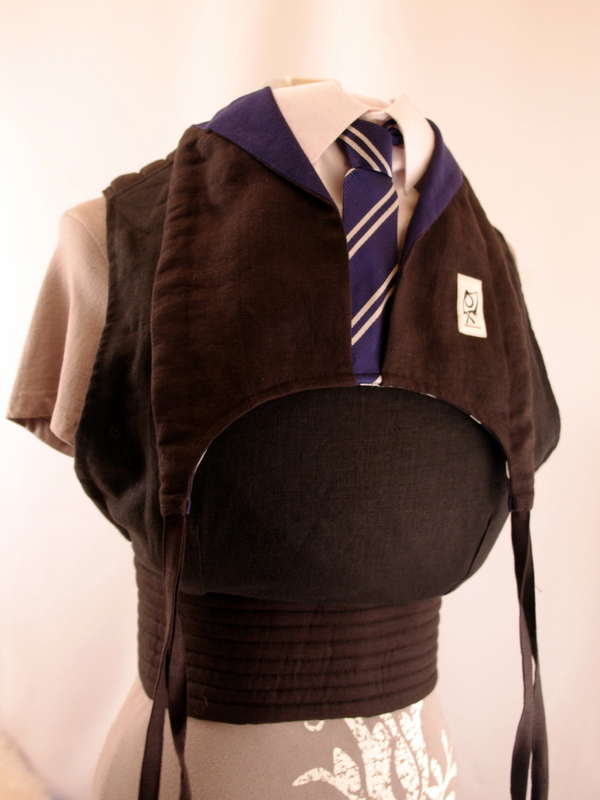 Reversible Irish linen body. Knee pads. Adjustable hood with double character treatment. Hand wash only. If you don't teach them, then where are they going to learn it? Raise your children the right way: by giving them attachment parenting toys with over-the-top handmade geekery motifs.